The Institute of Statistics celebrated its 20th year in a series of activities in February. With the theme, “20 Years of Responsive and Innovative Statistics Education: Development of Environmental Statistics in support of Sustainable Development Goals (SDG)”, the institute highlights the significance of its field in the attainment of the SDGs. 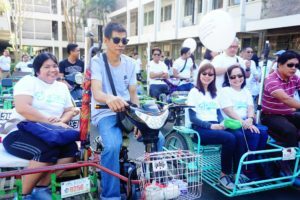 A homecoming of alumni and friends kicked off the celebration on February 16 for which participants joined a parade on foot, bicycles, or electric motorcycles to promote a cleaner and greener form of motorcade. The rest of the day was spent on formally opening this year’s exhibit in the INSTAT lobby and on socialization. 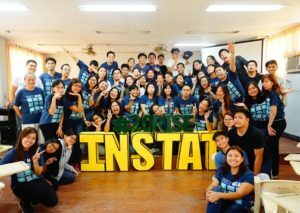 The highlight of this year’s celebration, INSTAT annual seminar series was held on February 21. Michelle M. Viernes, Senior Statistical Specialist of the Poverty and Human Development Statistics Division of the Philippine Statistics Authority (PSA) discussed the “Challenges in the Monitoring of Environment Statistics in the SDGs” while Arvin R. Reginio, Statistician II from the Department of Environment and Natural Resources (DENR) shared the DENR’s perspective on “Addressing the Data Needs of the Data-Driven SDGs”. Both speakers are graduates from the institute. 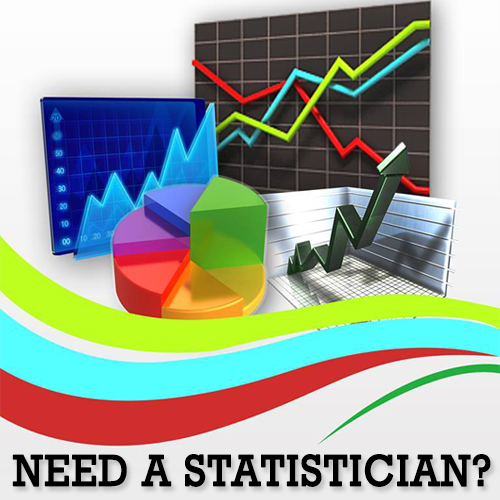 The National Statistics Office, now PSA, have long focused on economic and social statistics with environment statistics being a newer field. Statistics on environment are produced by different agencies in the country but evidence-based decisions are becoming more integrated that there is a need for sound coordination among key players. Both speakers recognized the need for relevant, timely, disaggregated, and better-quality statistics. They also emphasized the necessity for a clearer metadata on conceptual and operational definition of some global SDG indicators. Towards achieving the SDGs, some of the activities of the DENR include mapping of existing statistics against different global indicators, development of metadata for indicators, implementation of Automated Statistical Reporting System, regular collection of data from established monitoring stations, development and use of mobile applications, and information systems to facilitate data collection, development of Integrated Data Platform, levelling-off within DENR on the SDGs and its indicators, and strengthening coordination of statisticians within DENR.